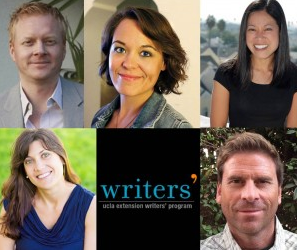 Innovation: Eric Edson uses The Story Solution to deliver a completely new approach to writing a screenplay that keeps producers, agents and audiences glued to their seats. Education: Edson uses his many years of teaching experience to explain the basics of writing a movie script in clear, compelling language. He is Professor of Screenwriting and Director of the Master of Fine Arts Program in Screenwriting at California State University, Northridge. Experience: Edson doesn’t just teach screenplay writing; he has real-life experience, having written seventeen feature screenplays on assignment for such companies as Sony, Warner Brothers, Disney, 20th Fox, ABC Motion Pictures, Lifetime, Showtime, NBC, and TNT. 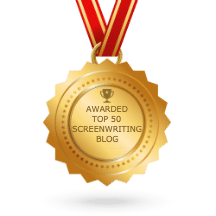 Free Chapter: Subscribe to the informative newsletter and download a free sample chapter from one of the best screenwriting books on the market. Actionable Insights: Edson reveals the 23 actions used in writing screenplays to create dynamic, three-dimensional heroes who link together all parts of an engaging screenplay from first page to last. 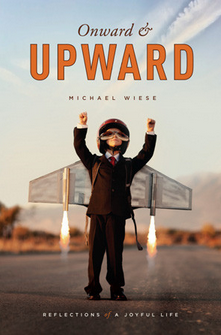 Ongoing Support: The art of scriptwriting can’t be simply picked up from one book, no matter how good it is. Edson stays engaged with upcoming screenwriters through his blog updates and Facebook postings. He is constantly providing tips and insider insights every young screenplay writer can use to achieve success. Networking Opportunities: Join any of these message boards and talk with other screenwriters about story lines and Eric’s Hero Goal Sequences concept. Humor: The Story Solution is clear and fun to read, yet still brings to light an innovative way to insure effective plotlines for both screenplays and novels. Motivation: Edson offers motivation to get started and get going again when new screenwriters are met by the challenge of writer’s block or other impediments that can stifle them or keep them from writing. In fact, one piece of advice he often offers scriptwriting students it to “Write Badly With Pride,” as long as you are writing. The rest will fall into place, but you have to make a start. The Art of Storytelling: Screenwriting and creating heroes that an audience can engage with are true art forms. 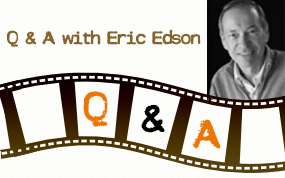 Edson knows that it may not be an easy path in life, but he helps writers understand why they feel the need to bring these characters to life, and Eric provides encouragement for the task of creation.